Electric eels are not evil, as much as Flotsam and Jetsam from The Little Mermaid would have you believe otherwise. The electric eel is the only species in its genus, and is able to generate short bursts of electric power to defend itself from predators and to zap its prey. This is due to a phenomenon known as a transmembrane transport – the eel has special electric organs that hold thousands of alternating compartments, filled with either sodium or potassium ions. Selective membranes keep the compartments separated when the eel is in its resting state, but also allow the ions to flow together, creating an electrical discharge of 100 watts, when the eel needs it. A collaborative team, made up of researchers from the University of Michigan (UM), the Adolphe Merkle Institute at the University of Fribourg, and UC San Diego, was inspired by the eel to develop a transparent, flexible electric device, using 3D bioprinting technology, that could one day lead to soft, biocompatible power sources, in the form of gel packs, for implanted health monitors, future cyborgs, and other applications. 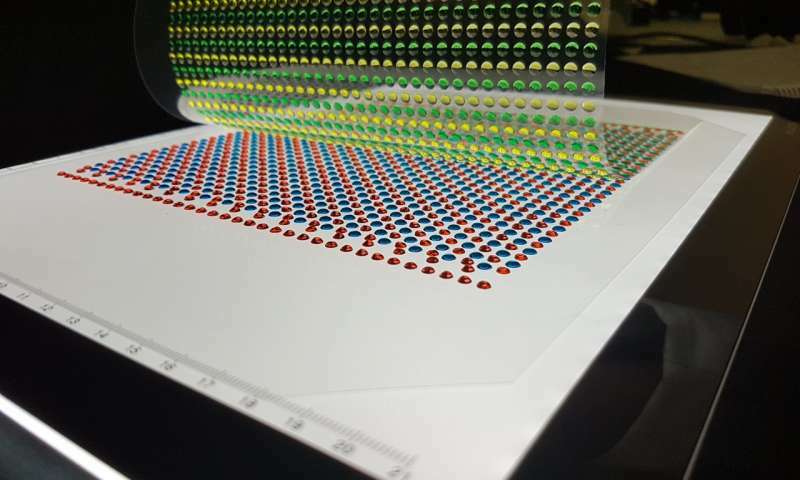 The work was funded by the Air Force Office of Scientific Research and the National Institute of General Medical Sciences of the National Institutes of Health, and detailed in a study, titled “An electric-eel-inspired soft power source from stacked hydrogels,” published in the most recent issue of Nature; co-authors include Thomas B.H. Schroeder, Anirvan Guha, Aaron Lamoureux, Gloria VanRenterghem, David Sept, Shtein, Jerry Yang, and Michael Mayer.